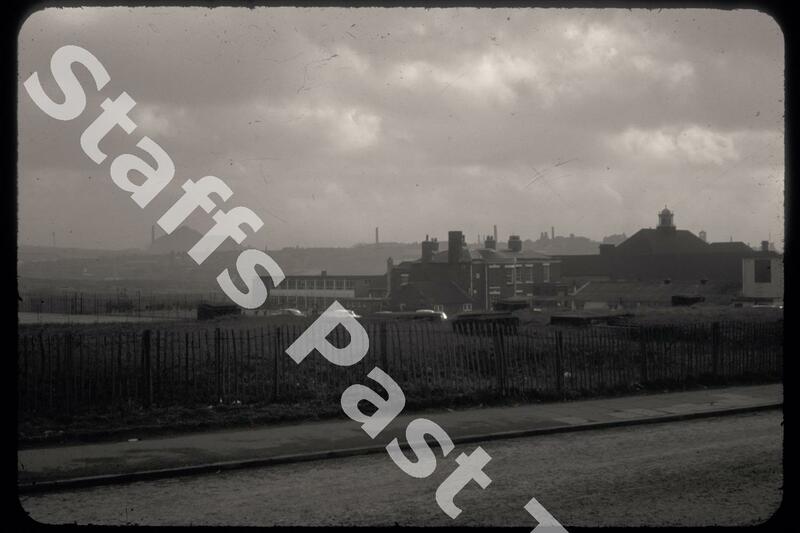 Description:The photograph was taken from Canal Lane looking south east towards the old Brownhills High School for Girls. Brownhills Road runs across the bottom of the photograph. The original school was based around John Wood's 19th century house but the original buildings were demolished in the 1950s. Brownhills High School opened in 1927 as an all girls school with over 400 students aged from 10 upwards. Initially fee paying, the school was comprehensive by 1970, taking both boys and girls. The old sports fields are the site of the school's successor: The Co-Operative Academy of Stoke on Trent. 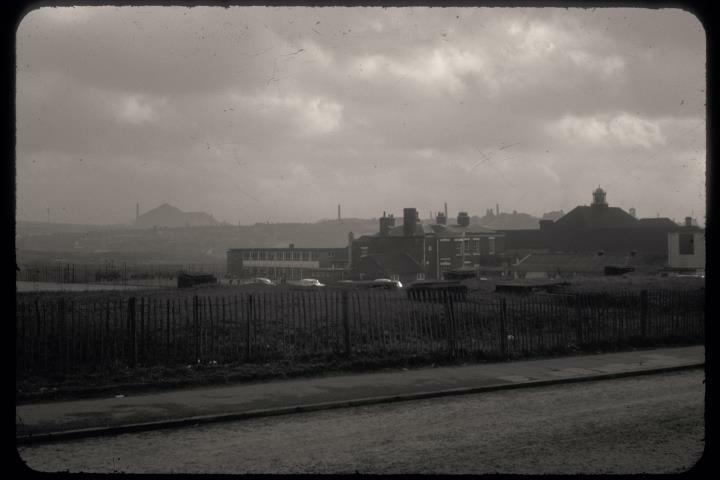 On the skyline to the left is Sneyd Colliery spoil tip and beyond the school the skyline of Burslem.